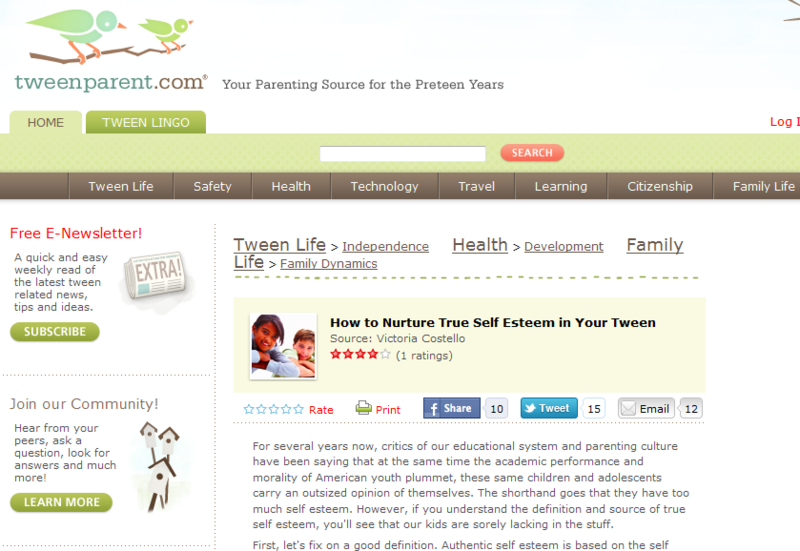 An article of mine on Tweenparent.com--check out this site esp if you have tweens at home! I have to convey my respect for your kind-heartedness in support of those who actually need assistance with the situation. Your very own commitment to getting the message along ended up being astonishingly invaluable and has without exception encouraged those just like me to attain their aims. This informative hints and tips denotes so much to me and much more to my fellow workers. Warm regards; from all of us.